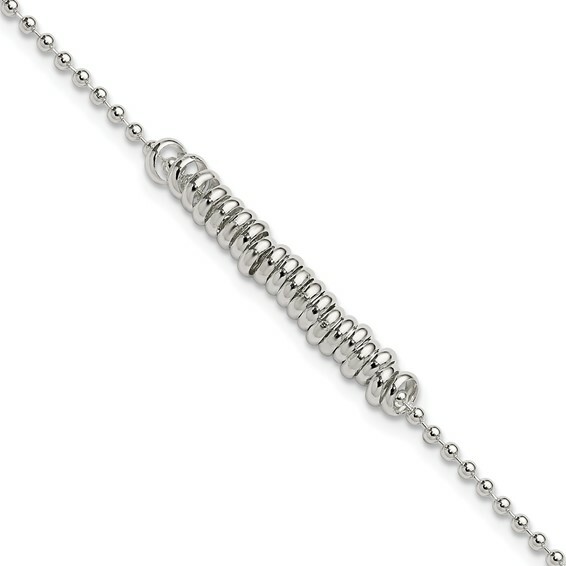 10 inch polished fancy ringed anklet is made of sterling silver. Weight: 5 grams. Springlock clasp.